CHICAGO – Playing Draco Malfoy, a less-than-savory counterpoint to the heroics of Harry Potter in the film series just completed with “Harry Potter and the Deathly Hallows: Part 2,” would presumably be difficult. CHICAGO – So this is how it ends – not with a whimper but with a big, magical bang. After a decade of captivating movie audiences worldwide, will “Harry Potter and the Deathly Hallows – Part 2” appease the fans who have been eagerly anticipating the end of the saga of the boy who lived? It almost certainly will. 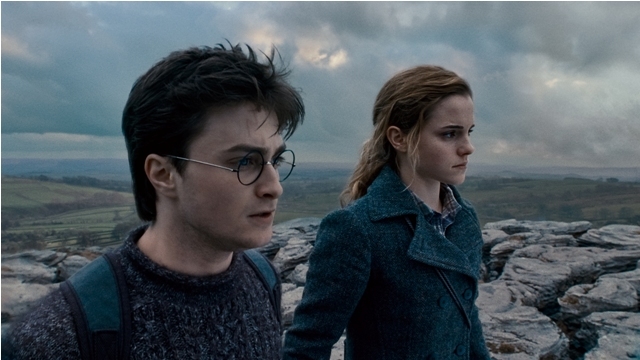 It’s hard to imagine fans leaving the final “Potter” film with deep disappointment in this satisfying conclusion. But “satisfying” is not the same as captivating, magical, or spectacular. “Deathly Hallows” is none of those things. It’s a well-executed slice of fantasy entertainment that nonetheless fails to rise to the level of true classic. CHICAGO – Tom Hooper’s “The King’s Speech” has been barreling through the awards season with a number of significant nominations, including six from the Chicago Film Critics Association just today. I understand why. The film does nothing wrong. It features confident production values and good performances but never reaches the peak of excellence for this critic. “The King’s Speech” is a good film that’s been inflated by some viewers to great even if it doesn’t quite deserve the throne. CHICAGO – This 40-image slideshow contains a selection of the official press images for the highly-anticipated “Harry Potter and the Deathly Hallows, Part 1,” starring Daniel Radcliffe, Rupert Grint, Emma Watson, Helena Bonham Carter, Robbie Coltrane, Ralph Fiennes, Michael Gambon, Brendan Gleeson, Richard Griffiths, John Hurt, Rhys Ifans, Jason Isaacs, Bill Nighy, Alan Rickman, Fiona Shaw, Timothy Spall, Imelda Staunton, and David Thewlis. The film was directed by David Yates. It will be released on November 19th, 2010. CHICAGO – “Harry Potter and the Half-Blood Prince” is one of the most visually striking films of a year filled with achievements in great cinematography. I love Deakins’ work on “A Serious Man,” Richardson’s on “Inglourious Basterds,” and Christian Berger’s on “The White Ribbon,” but Bruno Delbonnel (who also lensed “Amelie”) has helped produce one of the most aesthetically remarkable films of the year, easily the most interesting interplay of shadow and light yet seen in a “Potter” film. Naturally, it makes for a great fit with the 1080p of Blu-Ray. CHICAGO – The BBC mini-series adaptation of Evelyn Waugh’s “Brideshead Revisited” is so beloved that the new version with Matthew Goode, Hayley Atwell, Ben Whishaw, Emma Thompson, and Michael Gambon was doomed from the beginning. Miramax has done the filmmakers a disservice by releasing their work only on standard DVD, but fans of period pieces or classic literature should give Julian Jarrold’s film a chance. CHICAGO – The celebrated Evelyn Waugh novel and 1981 BBC miniseries “Brideshead Revisited” have put the unusually titled story into cultural consciousness. Beloved by readers for years, the adapted miniseries brought the popular characters to life and further cemented the epic and literary journey of class awareness, star-crossed love and fine estates.